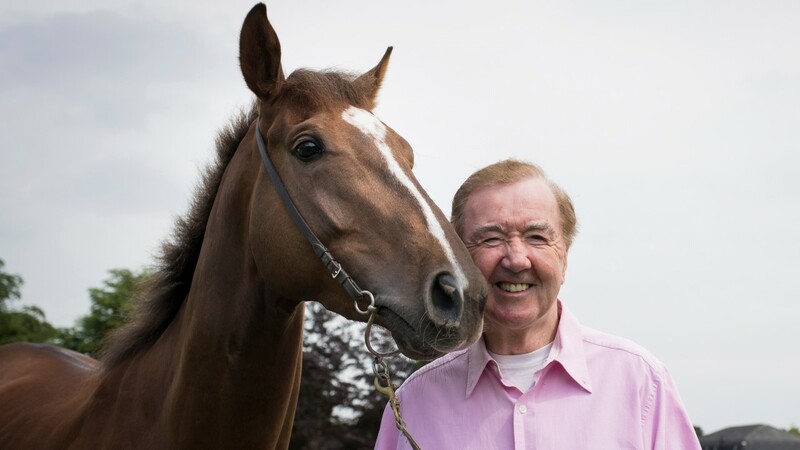 Dermot Weld’s four-year ‘Imaging’ was a gutsy winner of the Group Three Gladness Stakes at Naas. This Khalid Abdullah-owned horse got the better of a bunch finish to succeed by half a length, making it two out of two this season after his Listed success at Leopardstown just 10 days ago. Weld insisted: “That was a good performance in a very good Group Three. I thought he did it very well – settled nicely and quickened up well. “He’s a Group winner over seven and he’d probably be even better going a mile – I hope he’ll have a long season ahead of him. “He’s winning his Group race already, so I’m not in a rush with his next start,” added the winning trainer. “He’s a horse that will travel to England or France, and obviously Group Two and Group One is where we have to go next. That was lovely ground there today – and as long as the ground is not firm, he’s perfect. Joseph O’Brien’s Irish 2,000 Guineas entry No Needs Never ran a fine race on his seasonal return, pushing the winner closest. There was a further three-quarters of a length back to lightly-raced former French Classic-placed favourite Le Brivido in third, another to perform with promise on stable debut for Aidan O’Brien following his switch from Andre Fabre. Last year’s Irish Guineas winner Romanised ran better than his fifth-place finish suggests and judging by that performance it wont be too long until he returns to the winners enclosures.